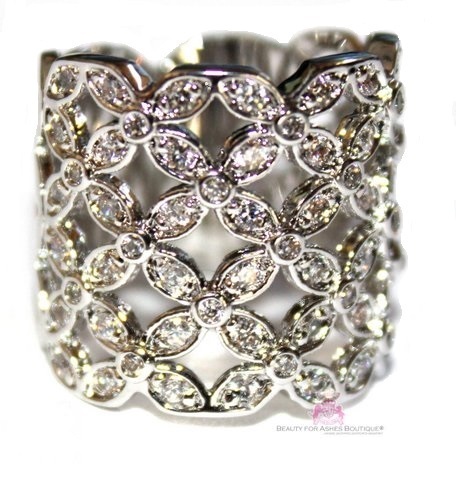 Country Lattice Brass Ring with white gold plated finish embedded with top grade mini cz's in clear. The back of the ring features a solid back and a shiny finish with white gold. Sides resemble the country lattice without the mini cz's. Ring measures about 3/4" wide in the longest front portion.